From next year, our school is able to access an ensemble music program through the Department for Education’s Instrumental Music Service. This means that students who will be in year 5 and 6 next year will have the opportunity to begin FREE Instrumental Music Lessons. There are vacancies for students who would like to learn – Trombone, Tuba, Trumpet, French Horn, Flute, Saxophone or Clarinet. Cost to families for instrument hire or purchase would still apply. 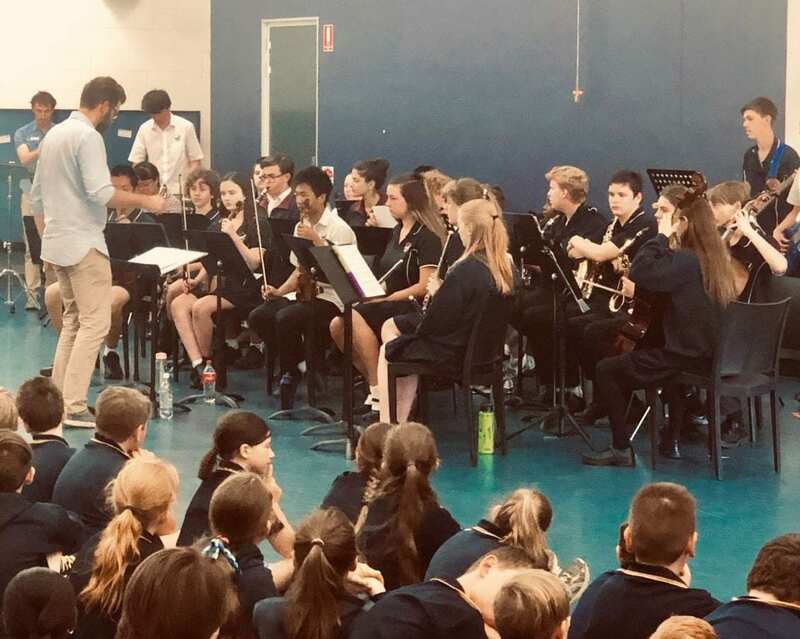 Students in these year levels attended a demonstration session with with the Seaview High School Concert Band today and also received a note to take home outlining this opportunity and how to express interest. Students who express interest will then undertake a suitability test to see which instruments they best match with. As well as this, from 2019 all year 4 students will have the opportunity to learn the recorder in class groups. These lessons will be provided free of charge by the instrumental music service and recorders will be provided by the school. These lessons will introduce students to music literacy including experiences in learning to read music. • personal development skills like self discipline, identity, confidence and resilience. For many years at Woodend, students have had the opportunity to learn a musical instrument and we are excited to be able to offer these new opportunities. We currently facilitate guitar, keyboard, flute, drums and strings lessons with private providers at varying costs to families. These private lessons will still be available to families. Our Junior and Senior choirs will also continue to offer music opportunities for students. If you have any questions or would like to discuss this further, please contact Jarrod Lamshed at the school.